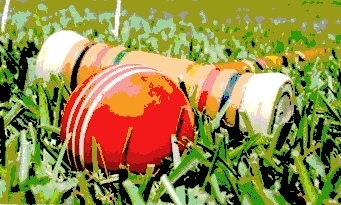 The Pasadena Croquet Club will be holding its 3rd annual Ornery Ostrich 9 Wicket Croquet Tournament on Sunday, March 18th. This year the tournament will be held at the Pasadena Croquet Club where the flat courts and smooth playing surface will permit the full standard USCA 9w court, which is 100 feet long and 50 feet wide. The wickets will be 4 inches wide, and spaced 6 feet from the boundaries and pegs. No more hassling with Garfield park wedding receptions and kids soccer camps. And no more wacky rolls downhill or through gopher holes. In other words, no excuses for the missed roquet. American Rules (deadness carries over) 9 wicket, played under the USCA 9W default rules with a few special options. This year, we are trying something completely new. There are several ways you can enter. Pick-Your-Partner. Enter as a doubles team with a partner. Provided enough teams enter, a bracket of all doubles teams will play against each other to qualify for the play-offs. Pod Four System (patent pending). Enter in a group of four players. Or enter with two or one other player(s) and indicate you would like to be included in a pod of four. The four players in each pod will play one game partnered with each of the other three in the pod, for a total of three games. That way, you get to play with every person once, and get to play against every person twice. It’s like scrambled doubles, just more intimate. The two in each pod with the best record will move on to the play-offs as a doubles team. This is perfect for those who want to play initially with just family or friends. If you have questions or would like to enter, please click on the Contact Tab at the top of this page, and select Michael Rumbin. Hope to see you in the Spring.